If you have questions or encounter any bugs/problems feel free to post them in the comment section. The latest version of this layout can always be found in the repository on github. Do not have them installed/active separately or it might break something. You are able to do some basic config (position, enabling stuff etc.) in the cfg.lua. - Haste for making oUF. - Drakull for originally creating this layout. - A lot of other oUF layout authors like Phanx, Freebaser and zork. - Fixed raid mark on focus, targettarget etc. I assume Raid_bars.lua should be changed as well (line 265) but I don't use that so didn't test it. This just triggers every second (literally) during boss fights in any raid or dungeon, even with all debuffs/buffs disabled. Are Raid Debuffs showing up for people? I'm not seeing them and I'm just wondering if its bad spell IDs that I'm adding. Hello thanks for the pretty UI. Is there a way to combine portrait and the health bars?? Not without major changes, sorry. Last edited by LVNDSCAPE : 08-19-18 at 09:39 PM. Hey! I'm in love with these unitframes and I want them badly, specially the setup with the cast bar. Now if I go in to the cfg.lua I can't disable the portrait without the castbar changing positions. Is it anchored to the actual portrait? If so, can I adjust that somehow? I've been playing around with the cfg.lua but can't seem to get it to work. Not sure if I completely understand. If portrait AND castbar on unitframes is enabled than yes, it is anchored to the portrait. Raid indicators should be fixed in r32. Working now. Many many thanks for the quick update! I am having the same issue as Maltese with the HoTs not showing up on my Mistweaver. 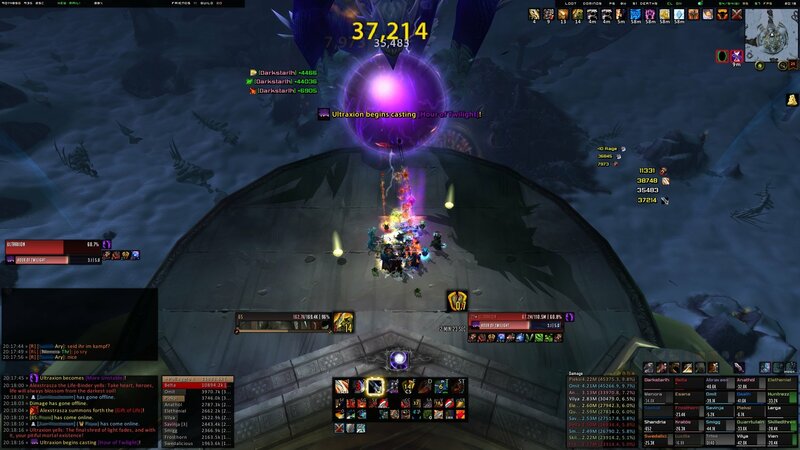 Also checked on Holy Priest an again no timer. Buff indicators don't appear to be working on the raid frames for HoTs for mistweaver monks. Not sure if this affects other classes. Thank you for updating this mod. Love having it back. Just one question, any chance of getting the old raid frames back. Open cfg.lua und change the raid style to "RECT"
Last edited by myno : 07-24-18 at 02:12 AM. Yes, I too would like to see if this can get updated for BfA. I have been using this layout for two expansions and cannot imagine switching to another. I included some lua errors if that could prove useful for anyone. Last edited by Solarin : 07-17-18 at 10:17 PM.